By GreenEyedLillies on October 29th, 2008 . Filed under: Baby . 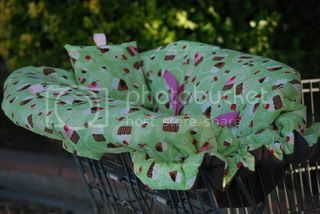 I love these shopping cart covers! 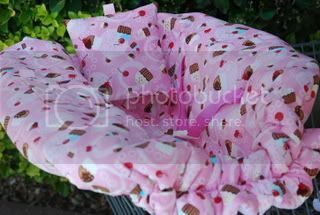 These shopping cart covers are made with high quality fabric and sewn with lots of care. Covers are made with extra padding so that your little one can ride in comfort while helping to protect them from those nasty germs. 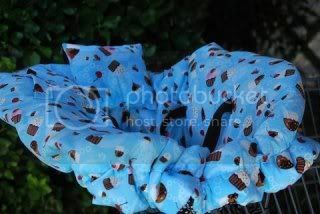 These covers come in a variety of different designs to choose from catering to both girls and boys. All covers are reversible and top and bottom fabrics are chosen to compliment one another. Whenever I have a baby, I am SO buying one of these. Even if it’s a boy, he would so rock the blue one! I have a little girl coming in march and oh my how cute is the pink one!